Original techniques for the protection of the vines from the winds, they wind the vines in a wreath-shape and keep them low. At high-end restaurants or at humble tavernas, the combination of Santorini wine and local products are outstanding and make eating a gourmet experience. 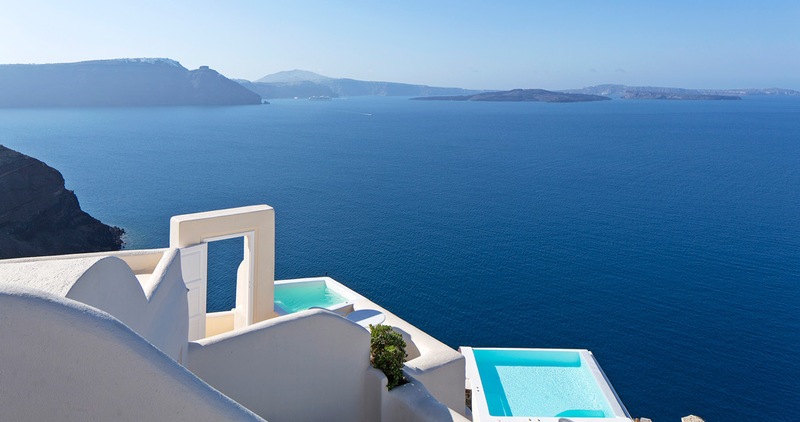 Away from the crowds, breathe in Santorini’s unique flavours and the many bouquets of its wine. Savour a sip of Vinsanto, drink to the sunset in Oia, walk on the Red Beach for the pebbles reflected red in the sun. Stunning indigenous varieties have taken the international wine community by storm, from Nykteri, Assyrtiko to Thirasia, their mineral quality has become one of the most sought after elements in white wines, today. They remain untouched through time, like a walk from Perissa to ancient Thira. Foot paths on the island are infamous, visitors walk down the path of Amoudi, wind their way around the tavernas, then hot and weary, dive into the sea, under the Goula Castle. They swim in a 400 metre-deep sea to the small island of Agios Nikolaos. Along the way, enter Oia, Finikia and Perivola through arched double doors which today may lead to luxury accommodation, but in the last century could have led to kanavas: traditional wine workshops in caves built with volcanic material. Traditional kanavas are found throughout Santorini. 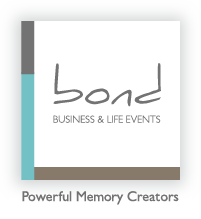 Some are wineries and can host up-market business events, wedding receptions or fabulous parties and can be found in the village of Vothonas, or further inland in the villages of Messaria, Megalochori, Episkopi, Gonia and Exo Gonia. 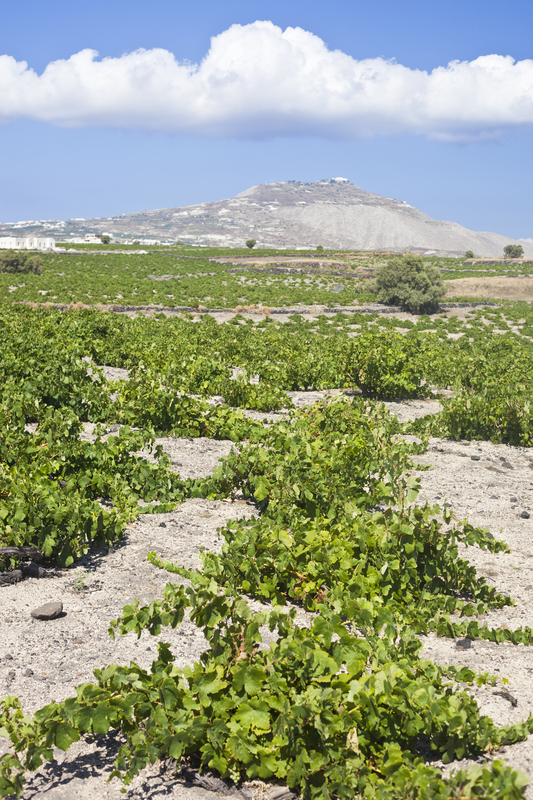 Wine is inextricably linked to the cultural history of the island along with its tempestuous volcano. 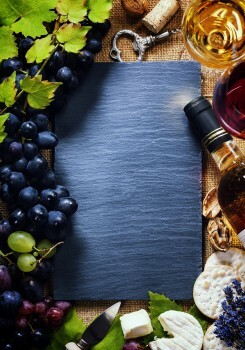 The first traces of viticulture date back to the 2nd millennium BC. The prehistoric settlement of Akrotiri, an archaeological site located at the south end of the island, holds a clay wine press, charred grape seeds, and an ideogram in Linear A. These valuable findings suggest that wine production were significant aspects of everyday life and directly linked to the economy of the island. 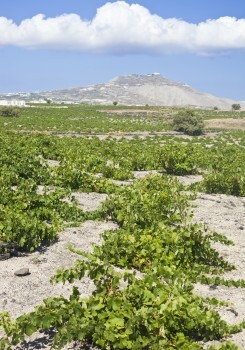 Viticulture today is still a significant part of Santorini’s existence. Cultural and wine tourism figure prominently. 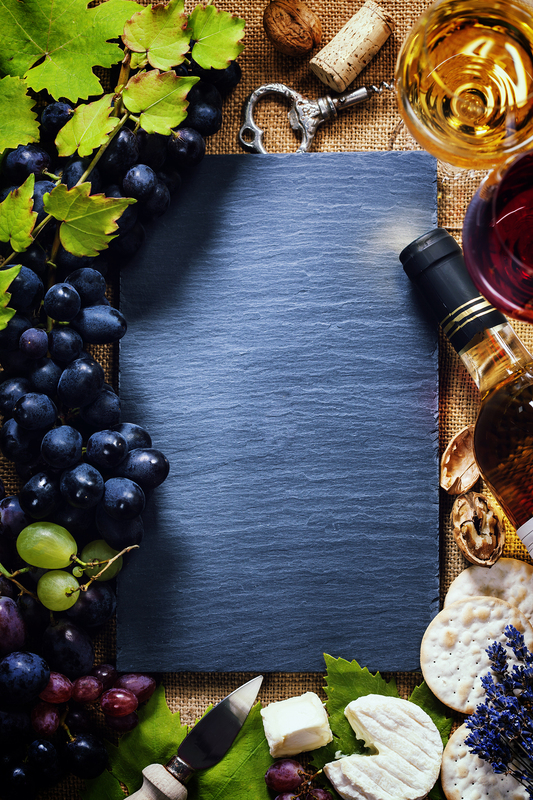 Indigenous varieties such as Assyrtiko, Aidani, Athiri and Mantilaria have reached New York wine circles and have captured the hearts of masters of wine and sommeliers in France and the USA, alike. Following the roads of wine and taste, Santorini reveals its uniqueness, as it emerged from the ecosystem that spawned repeated eruptions of the volcano. Its lava and soil, microclimates and sea breeze bring to life, not only indigenous wine varieties, but give traditional produce such as tomatoes, Greek fava beans and white eggplant a dimension of taste that can be found only in Santorini. Wine routes and wine tastings are plentiful. Each winery unfolds its own history of wine, people and place. Eating in Santorini is a treat for the palate from authentic fish taverns, to exceptional gourmet restaurants that stand apart internationally.